Motherhood has brought a new flavor to music by Vermont traditional artist Katie Trautz. Katie Trautz, a stalwart in the Vermont old-time, Cajun and Americana musical circles, has released her first solo CD since 2009’s “Remembering.” “Passage” is a nine-track, 30-minute album that has Trautz writing all the songs, playing banjo, guitar and fiddle with a band that includes electric guitars, drums, horns and pedal steel guitar. The album was produced by Michael Chorney, the Burlington-based composer, instrumentalist and producer. “Passages” is an apt title for this album. While Trautz maintains her old-time roots with the banjo and fiddle work, this is an album about transition. It’s a move away from the fiddle and banjo work of previous albums with Mayfly, her duo with Julia Wayne, to a singer-songwriter album with less emphasis on Appalachian music and a move to a more contemporary electric sound. Many performers change direction losing some fans and gaining others. “Passage” is not so far off Trautz’ previous direction, that she will lose listeners, but they will take note that every performer needs to express the world they live in in new and potentially different ways. “Passage” was written over the past decade, with echoes of honky-tonk, Appalachian music, and modern Americana, music Trautz has been playing with a variety of Vermont bands and musicians. She has made more than 10 albums, including at least four with Wooden Dinosaur, and two with Mayfly. She plays with the Cajun band Chaque Fois! and was an original member of the old-time band Kick ‘em Jenny. She was the co-founder of the Summit School of Traditional Music and Culture in Montpelier and was for a short time executive director of Chandler Center for the Arts in Randolph. Trautz also found the time to collaborate with banjoist Tom Mackenzie on a book of fiddle and banjo arrangements and write a book of songs for children. If you are a fan of Trautz’ fiddle playing you will be somewhat disappointed. The fiddle takes a background role with the exception track eight, “We Don’t Ask,” in which she plucks instead of bowing the fiddle, and the final track, “Waltz,” which is a fiddle and guitar duo closing the album. 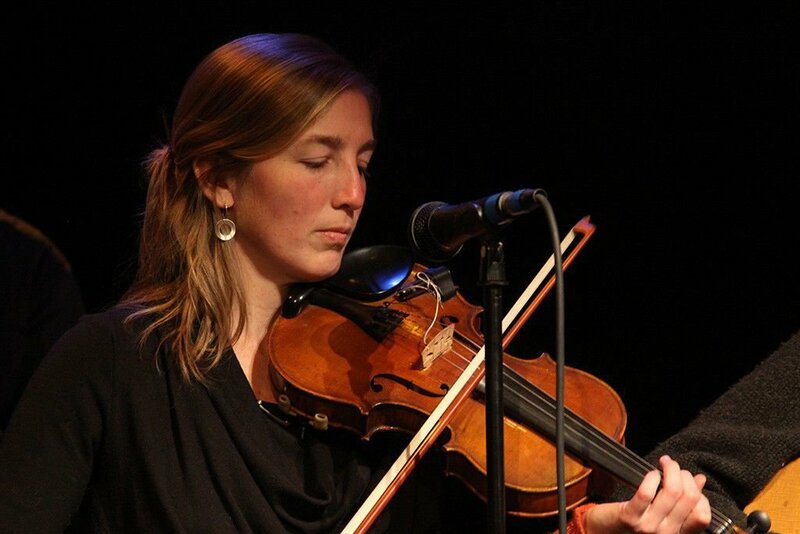 Was Trautz trying to reassure listeners that while she is heading in a different direction musically, she is first and foremost a great fiddler dedicated to the older styles? “Passage” includes songs accompanied by country-style guitar, dobro, harmony vocals by Julia Wayne, and a warm, steady rhythm section. The musicianship is first rate, with Chorney on guitar, Rob Morse on bass, Dan Davine on drums, vibraphone and piano, Asa Brosius on pedal steel guitar and dobro, Mike Roberts on electric guitar, Julia Wayne and Will Andrews on trumpet and synth. While the music here is newly written, Trautz had worked with the players in the past, so there’s a connection that goes beyond meeting in the studio. Chorney for his part as producer was able to bend the borders of folk music, and live outside of any specific genre on this album. Trautz benefits by having the music support her somewhat delicate voice. 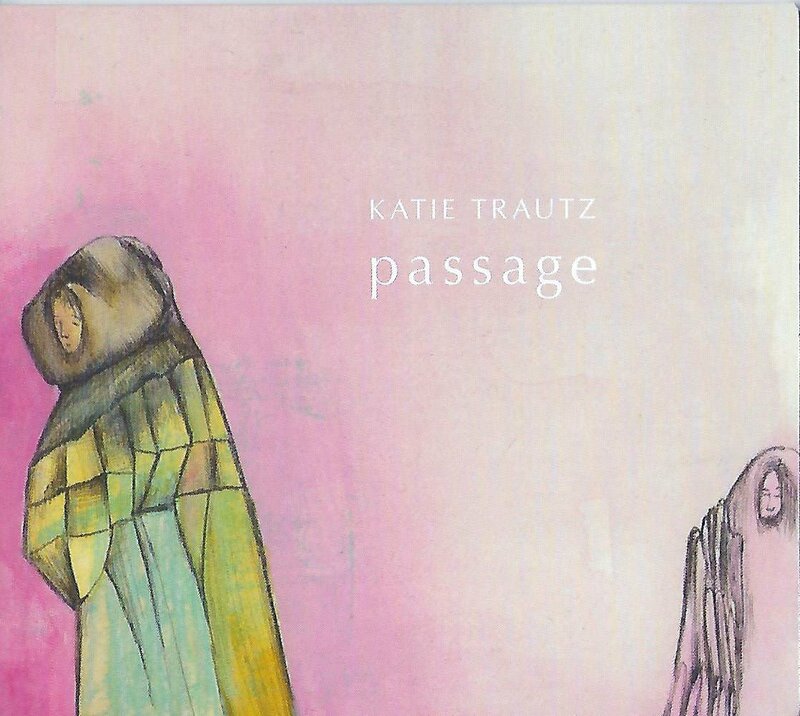 “Passage” could be Katie Trautz’s statement of independence from previous musical styles, or simply an addition to her musical résumé. The album is certainly going to turn some heads. Katie Trautz is performing for two album release parties: at 9 p.m. Saturday, Jan. 19 at Light Club Lamp Shop 12 N. Winooski Ave., Burlington; and at 4 p.m. Sunday, Jan. 20, at The Schoolhouse, 1643 Route 215 South, Cabot, presented by Cabot Arts. Information and CDs are available at www.katietrautz.com.